Brother Apoko, stage name, Ringtone cannot keep to his boundaries when it comes to vehemently attacking fellow artist, Willy Paul. The ´Hallelujah´ hit maker has had it rough from his fellow controversial gospel artist, Ringtone. Shade after another, Ringtone doesn´t seem to get enough of Poze, who is sitting tight and mouth shut. What is itching Brother Apoko this time, is Willy Paul´s new jam, Hallelujah, featuring his alleged girlfriend, Nandy. Hallelujah has attracted over 750,000 views, over 20,000 likes and #1Trending on YouTube. However, self-proclaimed English-man, Brother Apoko has hardly given the youthful artist peace, and is on to threaten Poze´s new jam. Feedback Funny enough, the kind of feedback he got, was either directly shot back at him or a combination of the two as confused artists: Joke藍藍藍 njorothecomedian We only know about Guardian Angel, Jabidii and Moji Shot Baba as true gospel artists in Kenya. Not this confused dudes of pozee and Ringtone. dandyboy_artiste_ke @ringtoneapoko you taking this too faar..and this shows how idle you are…the so called pozze is making a lot of money through his talent be it he ditched gospel for secular…wewe umekosa kazi.. Umeshindwa kuimba. of late no hit music umetoa hata..ni kuombea masukuma na ugali ukichezea Mungu..making fun of that now.. Now you want kukula jasho ya mwenzako kupitia koti…utamsue afungwe ama?? ?stop being a lazy kisii maana.. Toa makende caren uingize studio..stop being a jobless man…egento bosa…shaaaame on you..na hakuna penye unaenda johnteh_ke @ringtoneapoko kwani ukienda mbinguni utahesabiwa dhambi za@willy.paul.msafi jessiepaulgabriel @ringtoneapoko ni wewe niliona @whiskeyriver_ke friday ama niliona vitu zangu dokta_dread And on Friday we will have to admit you to mathare mental hospital before you ran mad… Nkt myke_will Ringtone seems itched by Willy Paul´s presence in the lucrative music industry. 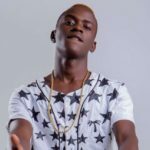 The post ¨Mark my Words¨ Ringtone threatens Willy Paul and his music appeared first on Ghafla! Kenya.